Chimney, Fireplace, Clean. Servc. Rep. Cleaning Services, Res & Comm. 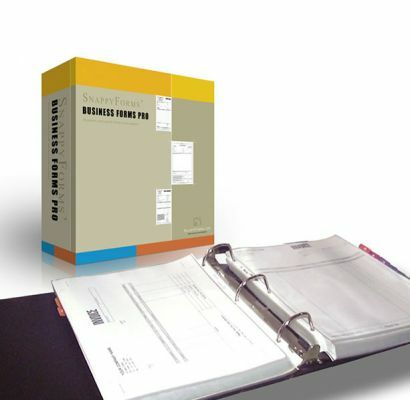 Business Forms Templates Pro is a software package containing 200 high quality, ready-made, pre-designed, trade specific business forms which provides quick and commercial offset printers, copy & print centers and others in the graphics & printing industry with the most professional, trade specific business form templates software package on the market. For offset printers this is one counter sales tool that should be in every printer's sales counter! With over 200 commercial business form templates for your customer to choose from you'll find our sales counter binder to be an income generating sales tool. Made with an attractive design, very well organized and long lasting and when placed on your sales counter its been proven to be a very effective sales tool guaranteed to increase business form sales with current customers as well as new startup customers. Stop missing out on lost sales, we are not yet in the paperless age, but printers, with bookkeeping programs such as Quickbooks, Peachtree and others, have ignored that business forms still has a huge market and if you do not show, display them, your customer may not even see that you print business forms. 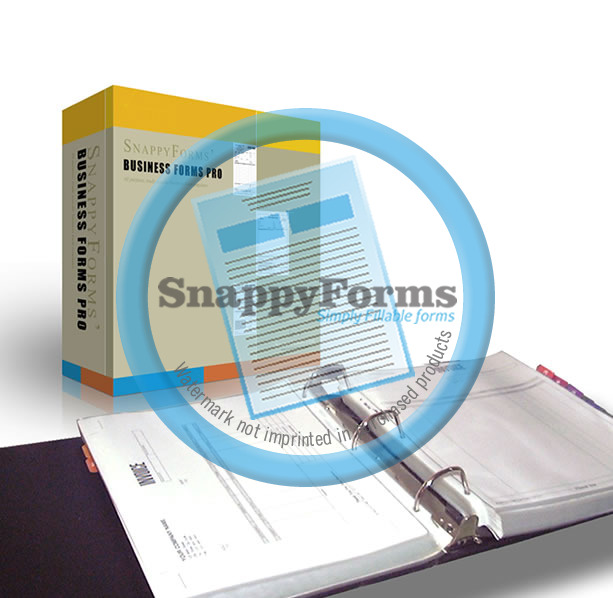 Business Forms Templates Pro comes complete with a black, sturdy and heavy duty, 3-Ring slanted, 3+ inch Spine, long lasting loose-leaf form sales binder which holds full sized, printed version of all the forms found in the installation disks. All forms in the sales binder are individually inserted in sturdy, plastic sheet covers to insure long life and avoid wear and tear for years to come, plastic sheets are heavy and water resistant. It is the ultimate sales tool guaranteed to increase your business form sales and lower your typesetting costs! 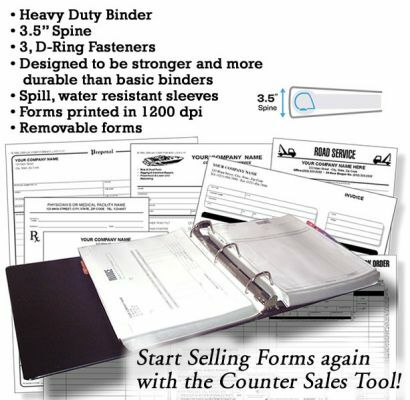 The business form sales binder reduces counter time spent with customers, no more long discussions and time spent with customers! Good customers who don't know exactly what they want can use up to 40 minutes of your time at the counter designing a form. Our forms binder is fully indexed and cross referenced by business type, with color coded tabs that make finding forms a breeze, so your customers will be able to find the form they need quickly and place the order within minutes —and if he does not find the right form, perhaps he can use one with modifications, and at the very least you can offer new form typesetting services, it's a win-win situation. The forms binder is divided into 9 form categories: Agreements & Contracts; Invoices, Sales Orders, Sales Slips and Sales Receipts; Medical; Miscellaneous; Office; Proposals; Estimates and Quotations; Repair, Work and Service Orders; and Shipping and Cargo. Forms binder also includes form description tables and is cross-referenced by business type and numbered for easy retrieval. 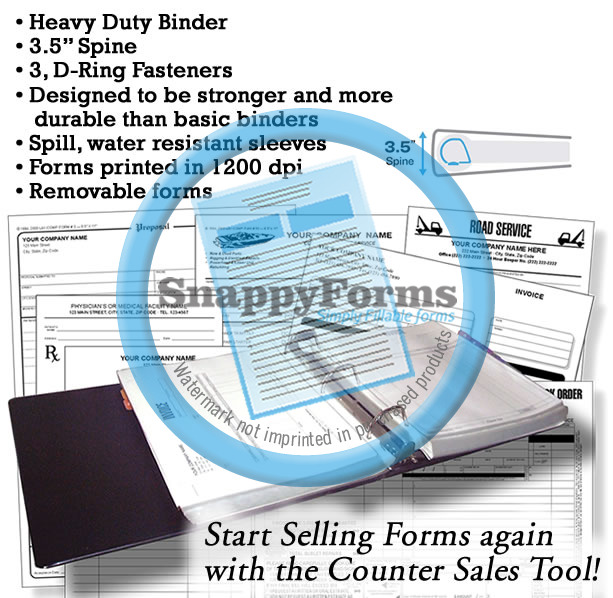 Sales counter binder is completely organized to help you find forms quickly and easily and cut down on time spent on sales counter. Easy to use templates come pre-designed so there is no time wasted creating professional-looking business forms. Most templates use standard system fonts such as Arial, Times, etc. if fancy fonts are used, they are included. Simply open your customer's preferred business form template, add their business name and other header information, place customer's logo and print to laser or paper plate and ready for press. All forms fully editable using InDesign and to maintain backward compatibility, it is compatible with InDesign CS4 v5 and higher, latest versions of InDesign. Click here to get the free Adobe Acrobat Reader. Software Requirement: Adobe InDesign CS4 and latest versions of Adobe InDesign. 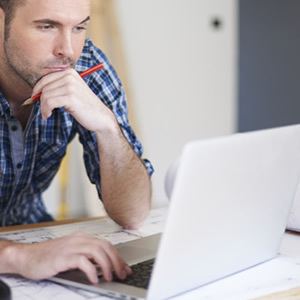 Page Sizes: All forms come in standard offset printing sizes. 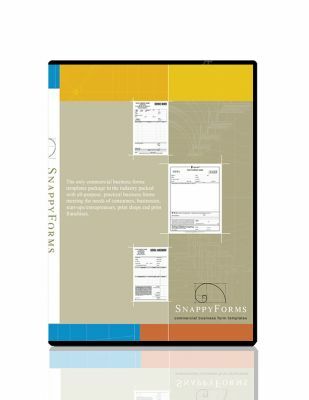 The majority of the form templates come in sizes of 8.5" x 11", 5.5" x 8.5", 8.5" x 7", 8.5" x 14" and 4.25" x 7". All templates have adequate gripper margins ranging from one-quarter to five-sixteenth of an inch to conform with all AB Dicks and other offset printing presses. Printing: Form may be printed to any desktop, laser or inkjet printer, or directly to paper plate or negative. Trademarks: All product names, logos, and brands are property of their respective owners. All company, product and service names used in this website are for identification purposes only. Use of these names, logos, and brands does not imply endorsement. Apple, Mac, Macbook and iMac are trademarks of Apple, Inc., registered in the U.S. and/or other countries. Microsoft, Word are either registered trademarks of Microsoft Corporation in the U.S. and/or other countries. List price: Refers to the retail price sold commercial print shops. Only the customers who have purchased this product can make a review. If you have purchased this product, please Sign in to review. Let's stay in touch!Sign-up to our newsletter for great business form tips, how-to's, form updates and special offers. We won't send you spam. Unsubscribe at any time. Approximately 1 email every two months. Copyright © 2000 – 2019, SnappyFORMS.com. Sign-up for great business form tips, how-to's, form updates and special offers. We won't send you spam. Unsubscribe at any time.